The Los Angeles Dodgers made headlines early Monday morning when it was revealed their brass, including CEO Stan Kasten, president of baseball operations Andrew Friedman and manager Dave Roberts, flew to Las Vegas on Sunday night to meet with free agent Bryce Harper. The Dodgers had reported interest in Harper at the beginning of the winter, but after signing fellow outfielder A.J. Pollock, they were believed to be out of the running for the 26-year-old. “I think that’s something that we’ve always said is we’re always trying to make our team better potentially,” Dodgers manager Dave Roberts answered when asked about the meeting with Harper. 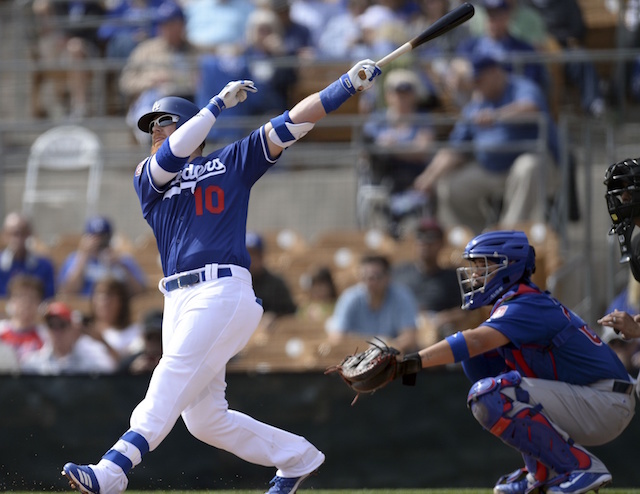 He went on to add the meeting was the first the Dodgers have had with Harper and his agent Scott Boras this winter. “It was good, it was just kind of trying to get to know each other,” Roberts said. After seeing Manny Machado sign a 10-year, $300 million contract with the San Diego Padres last week, Harper and Boras are likely looking to land a lucrative deal that exceeds it. 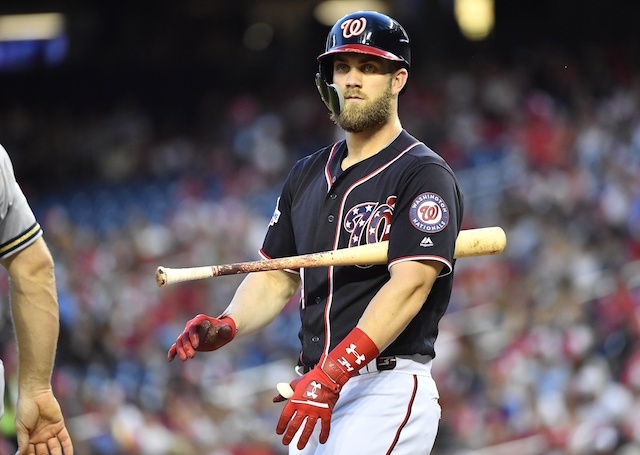 The Dodgers’ previous interest in Harper was believed to be if he was willing to sign a short-term contract for a higher average annual value. Roberts would not say if that stance has changed. “I really can’t speak to that right now, I personally just have to focus on the 61 guys that are here. So as far as any other player, I think that’s an Andrew (Friedman) question,” he said. Roberts did say taking the time to fly to Las Vegas on the organization’s behalf in the middle of Spring Training was something that he was more than willing to do. “For us, we’ve always done everything we can to do what’s in the best interest of the organization,” Roberts said. The Philadelphia Phillies are still viewed as the heavy favorites to sign Harper due to their perceived willingness to give him the 10-year offer he is looking for. He may be holding out for the Dodgers or San Francisco Giants due to his desire to play on the West Coast. Despite Sunday’s meeting, Roberts is not starting to get his hopes up that Harper will wind up in Los Angeles.